Is was very skeptical about ordering a tree through a catalog, but my fears on this tree were unfounded. It is very slim, as advertised, which is what we needed due to limited space. As it came out of the box and was put together (simple procedure lasting all of 5 minutes), it seemed pretty open between branches. But, we discovered, if you take the time and bend the wire branches around, it fills out rather nicely. That leaves room for putting on my own decorations. The lights all lit up and were nicely spaced and bright. They do what they are programmed to do, also. It is as tall as it says it is and I am pleased with the little guy! The more you fiddle with the branches (and there are PLENTY) the better it looks. So, for a little time invested, it's a great little Christmas tree! What a disappointment. I am very sorry I delayed assembly after a really rapid and early delivery. The lights do not work, and directions state you should check each bulb and use one of two replacements. No, not really, there are 100 bulbs. I could not find where a replacement fuse might go, but there were no extras included as directions indicated. Sad to send it back and find a replacement at this late date. My bad. 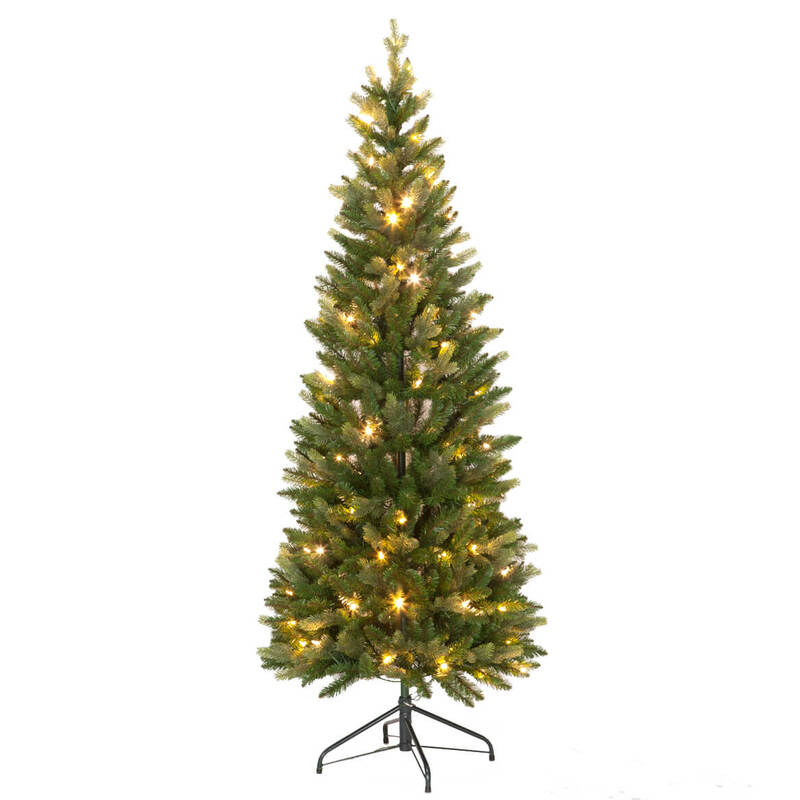 It is a good size tree for a great price. I liked the fact that the lights could be either clear or multi colored and that it pops up rather than having to assemble 3 tiers. Looks so much easier to set up than my color coated limbs. Definitely a time saver. With a busy schedule and impatient children defiantly something to try. For ease in setting up and fitting in a small apartment. I need the narrow width. Also I like the multi-colored lights. how big is this when disassembled for storage? BEST ANSWER: Thank you for your question. This tree collapses easily for storage and is 28" in diameter. We hope this information will be of help to you. Does this tree pull up or are there separate sections to assemble? BEST ANSWER: Thank you for your question. The tree is one piece with the stand and pole another. You will need to open and slide the tree over the pole to have it stand. We hope this information will be of help to you. 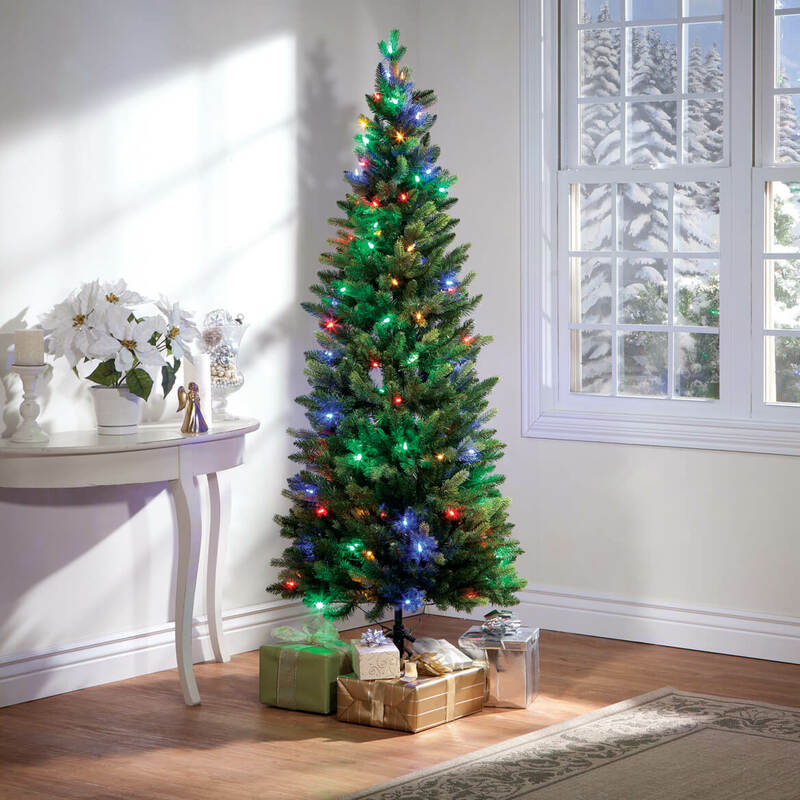 How many lights are on the tree, of clear and of colored? BEST ANSWER: Thank you for your question. There are 100 led lights. We hope this information will be of help to you. Description says "PE plastic". Does this describe the branches, or are the branches PVC? BEST ANSWER: Thank you for your question. The PE plastic is for the branches. We hope this information will be of help to you. The description says sparkling lights. Does this mean the lights twinkle, or are the lights constantly on? 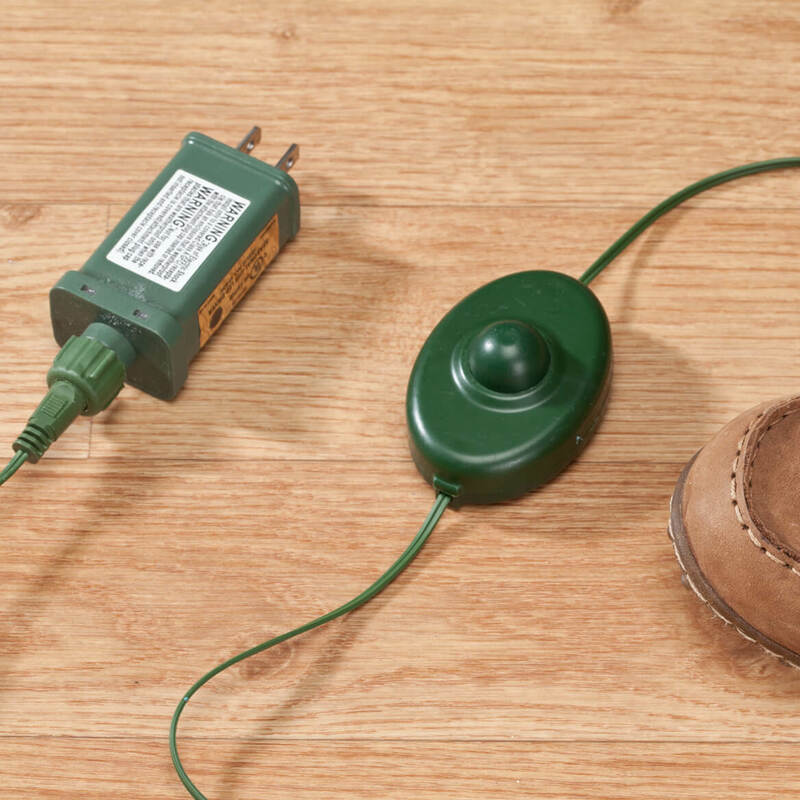 It sounds like the lights can be switched from white to colored by the foot switch, but can they be set so they change from white to colored and alternate between them automatically? Thanks. Thank you for your question. 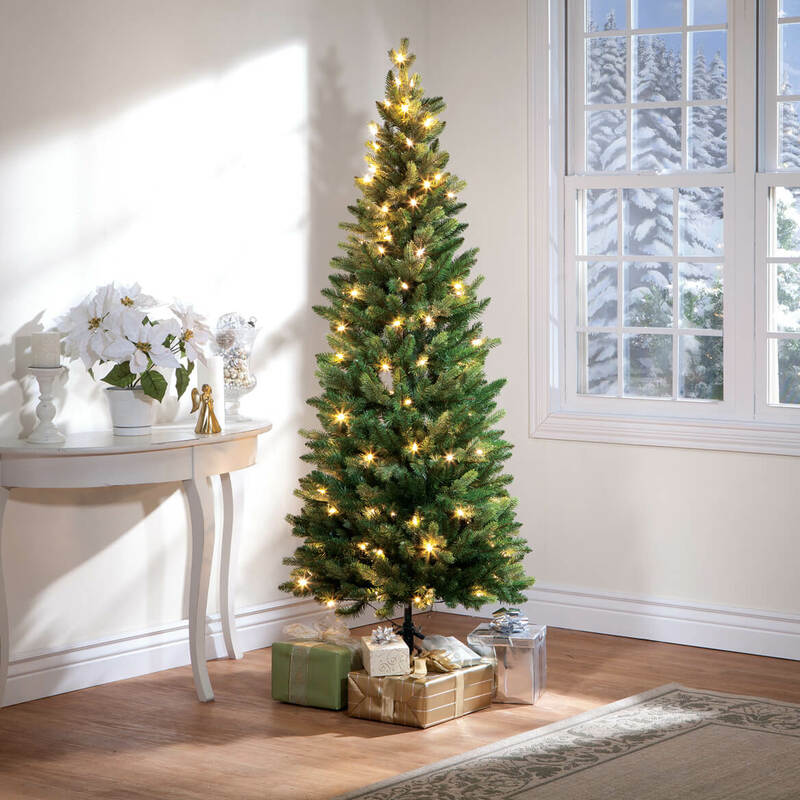 The lights do not twinkle, per se, the lights stay on, the pre-lit Christmas tree features foot switch for easy on/off or to set lights to constant clear or color mode. Offers simple assembly; collapses easily for storage. We hope this information will be of help to you. BEST ANSWER: Thank you for your question. 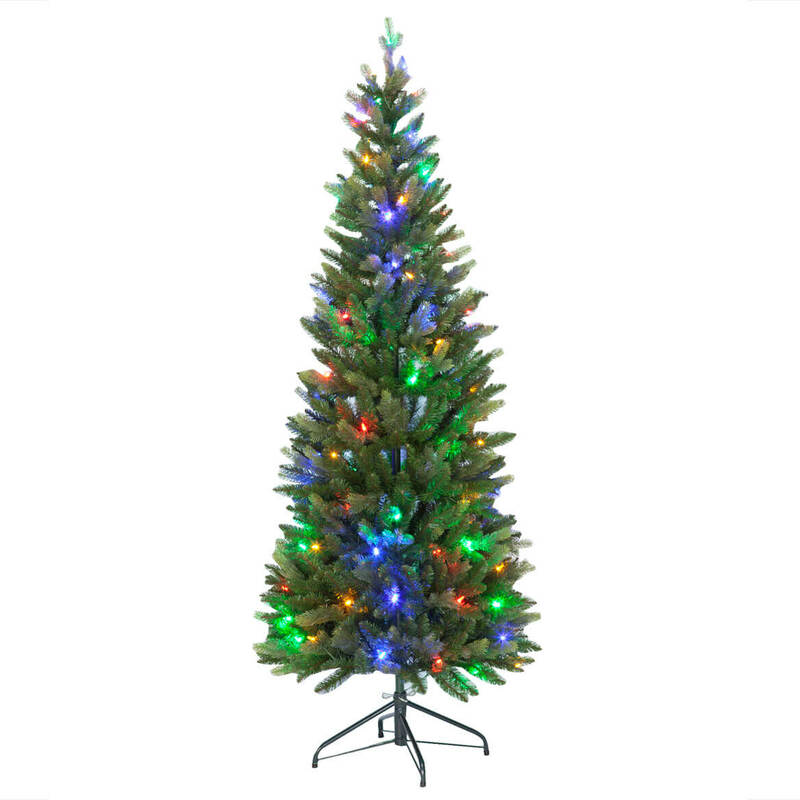 Pre-lit Christmas tree features foot switch for easy on/off or to set lights to constant clear or color mode. We hope this information will be of help to you. Are the limbs sturdy enough to hold ornaments without bending or drooping? BEST ANSWER: What are the dimensions of the storage box? I live in a condominium with minimal storage space, so the box size is crucial. thank you. Are the "needles" paper or plastic? BEST ANSWER: Thank you for your question. The needles are made of plastic. We hope this information will be of help to you.